Friends of the Earth has filed a petition to intervene in the Nuclear Regulatory Commission proceeding that would allow Pacific Gas & Electric’s controversial Diablo Canyon nuclear reactors to run for an additional twenty years. The new seismic data released in September by the utility reveals that the 1960s-era Diablo Canyon reactors are surrounded by larger, interconnected faults capable of producing earthquakes that far exceed the plant’s licensed design. 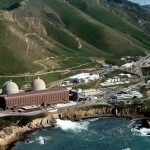 Friends of the Earth argues that the plant’s ability to withstand such earthquakes should be considered in a public hearing on the seismic safety of the PG&E reactors before the license extension to operate Diablo Canyon into the mid-2040s can be decided. Friends of the Earth filed its petition to intervene in the PG&E Diablo Canyon license renewal Oct. 10, prompted by the seismic report. The state-mandated PG&E report reveals that the newly discovered Shoreline Fault is twice as long as the utility had maintained in its prior report of 2011. Located just 600 meters offshore from the plant, the fault runs 45 kilometers and is capable of far greater ground motion than the Diablo reactors were licensed to withstand. In addition, the new report reverses prior claims by PG&E, and establishes that the Hosgri, San Simeon and Shoreline faults are connected, and therefore capable of far greater ground motion than the plant was designed and licensed to withstand. PG&E filed for a license renewal for Diablo Canyon in 2009, but the hearing process was suspended in the immediate aftermath of the Fukushima nuclear disaster. A 2011 NRC study indicated that Diablo Canyon is the nuclear power plant in the U.S. most likely to fail in response to an earthquake larger than it was designed to withstand. Despite this, PG&E has remained committed to its pursuit of license renewal. The results of the latest in-depth seismic studies clearly reinforce that Diablo Canyon is even more robustly designed for anticipated earthquakes than was envisioned by its design specifications. There is now a wider margin of safety. This is much more comforting and another feather in the cap of Diablo Canyon operations, which should support any further movement forward to relicense the plant for another 20 years, which has my thumbs-up. The next 20 years, and longer, will be critical in America’s battle with global climate change. Many other countries around the world have been intelligent enough to pursue nuclear power big time, recognizing the major damage human-influenced climate change is going to have on our precious planet Earth and how vital nuclear power is to power supplies. It’s time for America, and California, to recognize this situation and strongly include nuclear power in its kit bag of energy sources, while discontinuing coal-fired, oil-fired and natural gas-fired power stations. Nuclear power operates 24 / 7, and produces no CO2. Those on the far left supposedly hate CO2, so they should love this power source! No so-called “global warming”. If this were to be closed, electrical rates would skyrocket… look at San Diego. Uh, no, it doesn’t. I’ve read the report. It basically says DCPP is seismically safe. Why don’t we leave the semantics to the lawyers? Good to know some anonymous commenter can vouch for a process that is ripe with conflicts of interest and potentially sketchy science. The only recipe for disaster is the close-minded fanatics who call themselves ‘Friends of the Earth’. With friends like this, who needs enemies. If they were this concerned about keeping us safe on earth, they’d be standing on the front steps of the state capitol demanding that our water be given to us rather than pumped out to sea. If they were true friends of the earth, they’d be railing against the government-subsidized wind and solar power that is killing animals by the thousands including our national bird, the bald eagle – all the while, not producing enough energy to ever matter. This isn’t about safety, it’s about pushing an agenda of more government control of everything we do. Friends of the Earth aren’t intended to be, will not and never shall be friends of the earth. Absolutely, and it couldn’t be more apparent than the recent Hetch Hetchy vote in San Francisco. When it came down to restoring the basin or higher water rates, they chose the later by an overwhelming majority. Not a peep from the so called “friends of the earth”.